“What if” for me is the powerful tool that jump-starts my imagination both as an actress and a writer. The “what if” factor that was the catalyst for Down and Out in Beverly Heels was my memory of a “60 Minutes” segment I watched some 20 years ago about homeless women who were living undetected in their cars in affluent neighborhoods.Beverly Hills, where I live, was one of the neighborhoods where these women, who had once lived in comfort and security, were now eking out a day-to-day existence on the streets. For these women, a roof over their heads came with four wheels and a dashboard — and a good deal of fear and anxiety. They had lost everything, including the means to regain a livelihood. It’s awfully tough to fill out a job application without a home address. And, as Leslie Stahl pointed out, it’s alarming how little it takes to lose everything: divorce, catastrophic illness or accident, bad investments, career meltdown, physical or mental health issues, natural disaster — one or any combination of those circumstances can destroy lives in short order. One of the women interviewed, who had once employed a housekeeper herself, was now working as a housekeeper and cook for an elderly couple. That program made me think about what I would do if I lost everything, including my home, material possessions, friends, reputation and means of sustaining myself. What if I had to live on the streets? At the time I began writing the book, I was also a longtime volunteer in the homeless program at my church, where we provide a sit-down meal every Monday afternoon. Along with the recognizably destitute, I was aware of a couple of women who turned up smartly dressed, well groomed and, to all appearances, were sociable members of the community — except that they were dining among the homeless and availed themselves of the toiletries and other amenities we made available. They were what I call “homeless and hiding it.” I imagined myself in their shoes, scratching out an existence that relied on grit, resourcefulness and determination not to give in to the downward spiral life had taken. As an actress, a role starts to inhabit you and you begin seeing the world through another pair of eyes. And so it is for me as a writer. I started to see my neighborhood through the eyes of a homeless person. What if? How would I survive? If, like my main character Meg Barnes, I was determined to reclaim my career and former lifestyle, what subterfuge would I use to fool friends and colleagues into thinking my life was unchanged? If I had to sleep in my car, but had an early morning audition at Warner Bros. for a film role, how would I manage to groom myself so I could not only audition but book the job? I drew on my long career as an actress and my knowledge of how difficult it is for a woman of a certain age to maintain relevancy in a profession that reveres youth and freshness in creating the character of Meg Barnes. 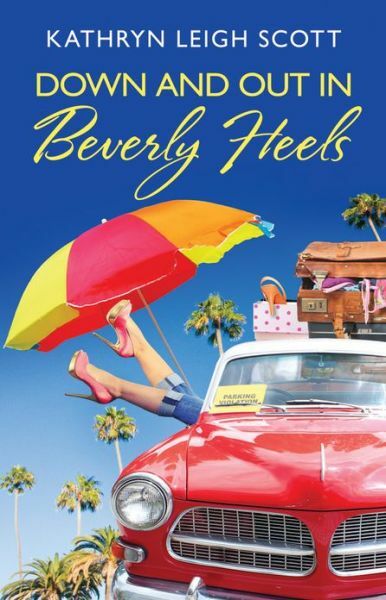 Down and Out in Beverly Heels is a humorous, light-hearted mystery romance, but I couldn’t introduce the topic of homelessness, the inspiration for my story, without delving into the gritty reality of what it is to be “homeless and hiding it” in one of the most glamorous, wealthy communities in the world. Kathryn Leigh Scott is an actress, probably best known for creating the roles of Josette DuPres and Maggie Evans, the love interests of vampire Barnabas Collins in the cult classic TV show “Dark Shadows.” Down and Out in Beverly Heels is her second work of fiction. 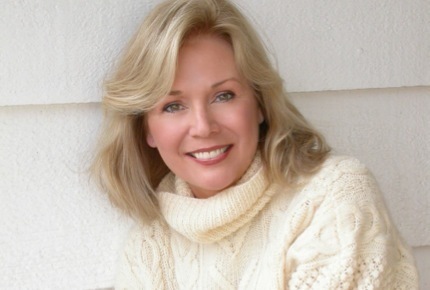 Scott wrote Dark Passages, a paranormal romance, with more than a passing nod to the ‘60s soap and she appeared in the Johnny Depp/Tim Burton film Dark Shadows last year. Scott is currently at work on a sequel to Down and Out in Beverly Heels. To learn more about Kathyrn, please visit www.kathrynleighscott.com . Im currently reading this book, and finding it very interesting, thanks for the post!